This Saturday, 21 April 2012, our architecture ride ride will focus on the modernist architect Sir Denys Lasdun and the buildings he produced in London spanning from the 1930s to the 1990s. Prince Charles famously dismissed the National Theatre as being a ‘clever way of building a nuclear power station in the middle of London without anyone objecting’, but there are many who find his original and uncompromising approach to building refreshing and inspiring. Knighted in 1976 and winner of the RIBA Gold Medal for architecture in 1977, virtually all of his London buildings are listed. 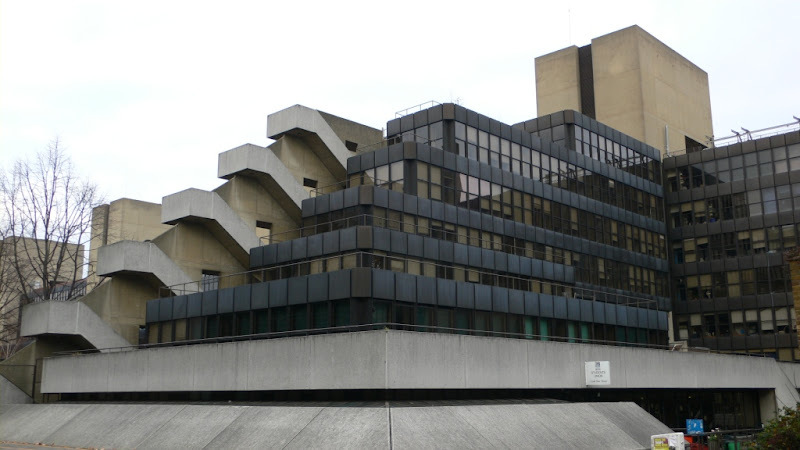 We will start the ride at Lasdun’s first building in London at 32, Newton Road in Paddington, progress through the West End to the South Bank finishing in Bethnal Green at about tea time. We will look at eight of Lasdun’s most important London projects ranging from social housing, through public venues to private properties. See the Google route map. The ride will be mainly flat but there will be some busy stretches along the route. Contacts for the ride are Lizzy Jamieson, tel 07961 117698, and Peter Kidd, tel 07966 170197. All welcome, make sure you have wet weather gear and your bike is roadworthy. Meet Saturday 10:15am for a 10.30 start in front of 32 Newton Road London W2 5LT (near to Paddington Station). 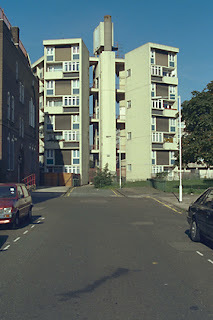 If you arrive early why not look at the nearby Hallfield Estate and Primary School also designed by Lasdun.